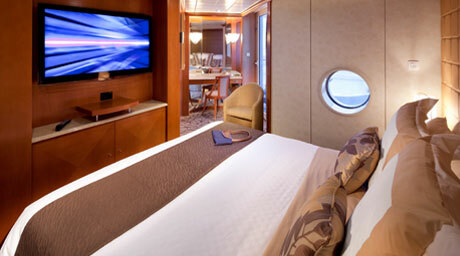 Our spacious suites transform your vacation into a completely indulgent experience. 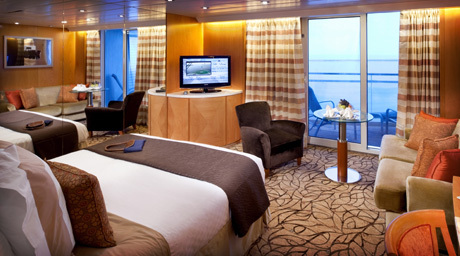 Book this type of stateroom and enjoy special privileges plus an extensive list of amenities including European-style butler service (except Celebrity Xpedition). 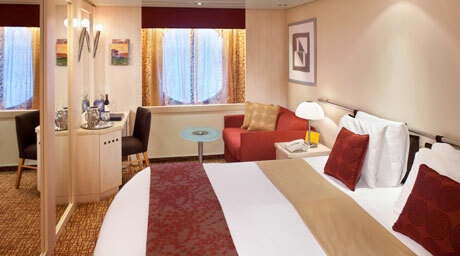 Designed for the traveler who settles in nicely to veranda staterooms where little details make a big difference. 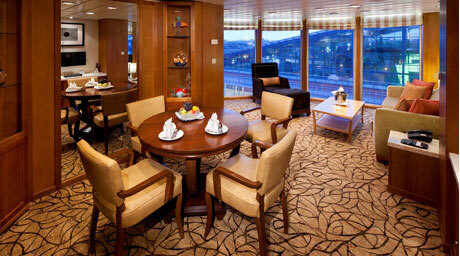 Savor unexpected delights such as a pillow menu, priority check-in and disembarkation, plush bathrobes, and evening hors d’oeurves. 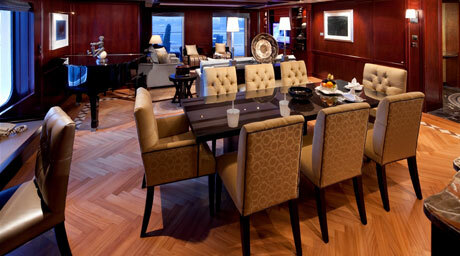 With Concierge Class, the attention to detail will amaze you. 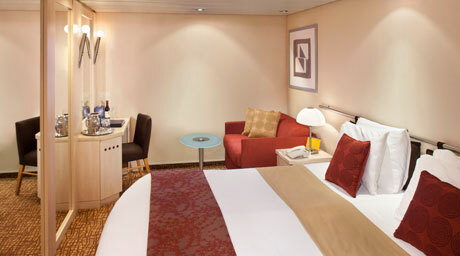 Staterooms with large windows and a sitting area where you can kick back and relax after a day that has been as busy or easy as you want. 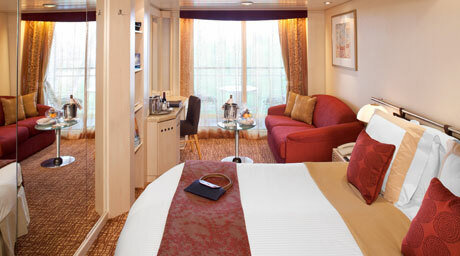 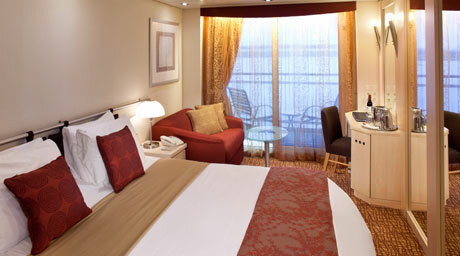 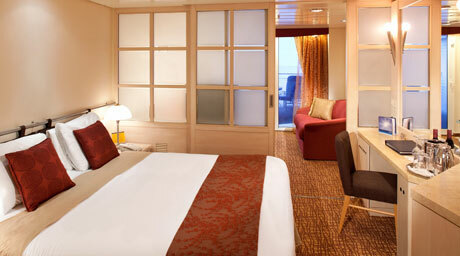 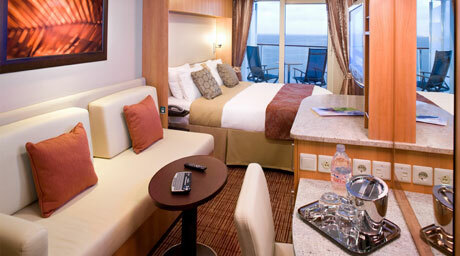 Stateroom with ample living space with a sofa and sitting area—a home away from home.